Exit and opinion polls have already declared their verdict. BJP is going to win. Most of the exit polls are claiming a BJP majority with over 45 seats in their bag. But exit polls can go wrong. They have in the past. For instance, in US presidential elections when many news channels had predicted Hilary Clinton’s victory only to find their predictions “trumped”. Similarly, in recent Punjab assembly elections, everyone had declared AAP’s majority. With social media analysis, we were able to predict Punjab 2017 election results quite accurately. This time our analysis say, it’s going to be Congress! What does social media predicts? According to our social media analysis, Congress will get 34-42 seats in Himachal Pradesh assembly elections while BJP will get 23-31 seats. Congress was more active on social media and even outperformed BJP on engagement chart. They received almost twice as much engagement as BJP. Of the total engagement during the election campaign, 65% was bagged by Congress as compared to BJP’s 33%. How does constituency level battle looks like? Kangra in Himachal Pradesh assembly elections is the UP of Loksabha elections. Kangra has fifteen constituencies, most for any district in Himachal Pradesh. 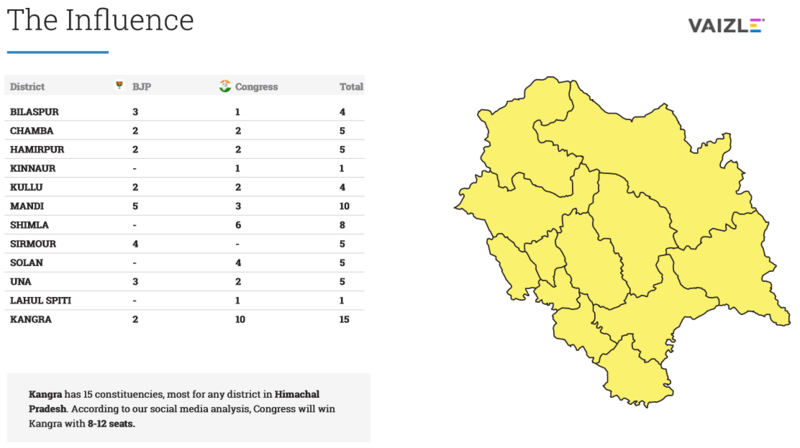 According to our social media analysis, Congress will win Kangra with 8-12 seats. Congress had a robust and organized social media strategy, which is evident from the results. Of the top five most active candidate in Himachal Pradesh, four of them were from Congress. Smt. 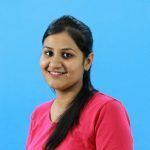 Asha Kumari was the most active candidate on social media posting 424 posts during the campaign, followed by Rajeev Bindal (403 posts) from BJP. The next three spots were covered by Congress candidates Mukesh Agnihotri (369 posts), Ajay Mahajan (330 posts), and Sudhir Sharma (311 posts). Congress also reaped engagements for its more active social media presence. Their average engagement per activity was 1.75 times more than that of BJP. Virbhadra Singh, current Chief Minister of Himachal Pradesh, received the maximum engagement on his social media activities followed by Prem Kumar Dhumal. On the video engagement chart, Congress was way ahead of BJP. They received 73% of total engagement against BJPs mere 27%. Unlike BJP, they also had a better hashtag strategy. Each of the hashtag they used was meaningful and related to their agenda. How did both parties used social media? Unlike brands and companies, which are more active on Twitter, political leaders have sworn their allegiance with Facebook. 66% of all the content and posts shared on social media was on Facebook. The way political leaders are fighting campaigns now, it’s evident social media is a weapon in disguise. 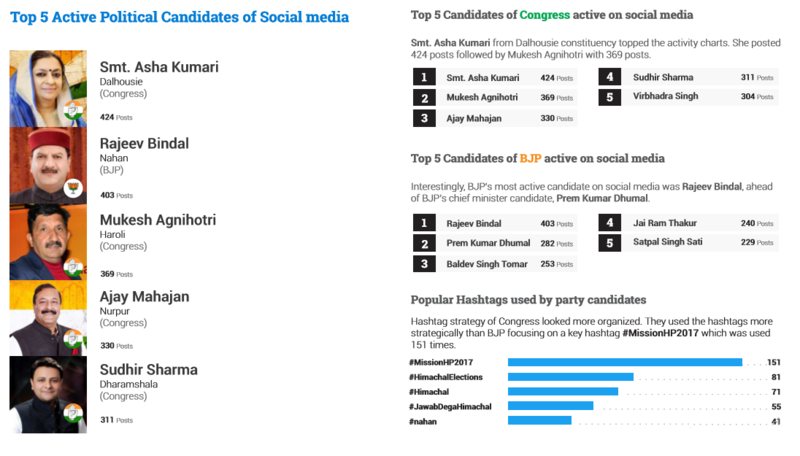 You can also download the full report on social media analysis of Himachal Pradesh elections. If you have any suggestions on how we can improve the report and make our predictions better, you can write down your suggestions in the comments below.